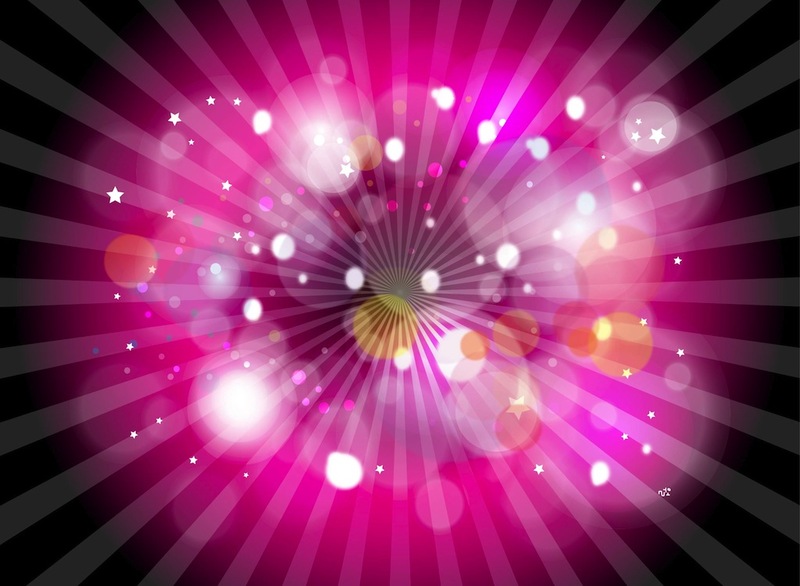 Abstract vector decorations with bokeh and rays of light. Blurred circle lights, decorative dots and stars. Scattered bokeh circles and rays to create backgrounds, wallpapers, backdrop images, flyers, greeting cards, clothing patterns, posters, party invitations, presentation slides and business cards. Tags: Background, Bokeh, Circles, Decorations, Linear, Lines, Rays.